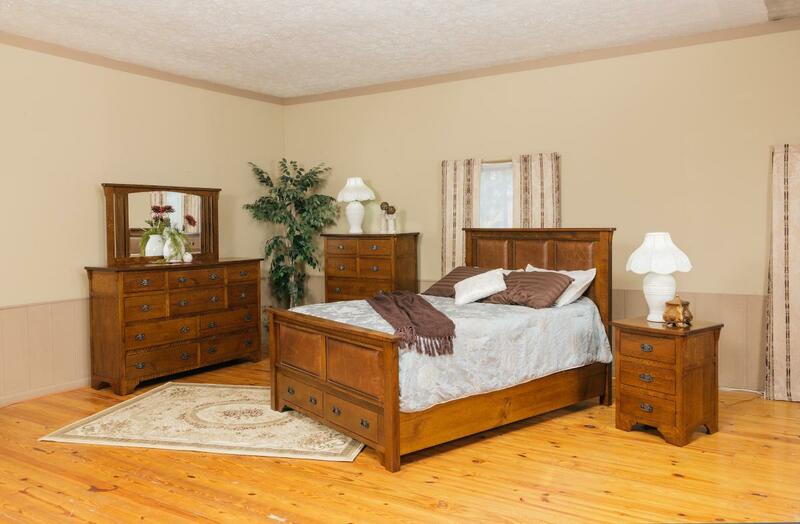 Amish furniture manufacturers make “Mission furniture”, among various available styles. Were the Amish the first to design Mission furniture? What are the distinctive features of Mission furniture? Why can the Amish compete in the manufacturing of Mission style furniture? Who Originally Made Mission Furniture? “Mission” furniture was developed by Spanish Missionaries bringing the Catholic faith to the American south-west and to Mexico in the middle 1700s. These early European settlers made hand-crafted pews for their churches and personal items for their living quarters, using available tools and materials. Who First Began Making Mission Style Furniture? Mission furniture reflected the skills, materials and culture of those early manufacturers. Those Catholic Missionaries were, by and large, not skilled artisans by vocation. Their goal was to bring Christianity to the furthest reaches of North America. They did not bring the most elaborate carpentry tools. While traditional Catholic churches in Europe, including Spain, might use the finest craftsmanship and elaborate decoration, this was not available in California during the 1700s. Rather than importing oak from Europe or eastern America, these pioneers use local trees. Yellow pine, spruce or Douglas fir, and cottonwood were available in what is now the south-west USA. Sometimes rosewood or mahogany might be available from “nearby” Central American forests. Early artistic influences might be traced to Spanish Gothic architecture and furniture design, but there was little leeway for embellishment or decoration. Rather, the furniture had to be functional, plain and simple. As well, the Spanish missionaries were not inclined to even try to adopt many of the native decorative motifs as used by the Aztecs. The goal was to convert and civilize the “natives” under Spanish rule, rather than to fit in with the locals. Therefore these pioneers developed a distinctive style which was simple and functional, by the twin necessities of their tools and skills. This simplicity was “born of need” but later became its principal virtue “by choice”. Who Developed Mission Style Furniture Commercially? A rather visionary furniture manufacturer named Gustav Stickley admired the “Arts and Crafts” movement in the 1890s. He blended and adapted that European aesthetic with “American Country Style”; both featured simplicity and “honest artisanship”. Natural materials were important; this dovetailed with a renewed appreciation for harmony with “Nature”. The “Art Nouveau” style was an additional influence in the development of the design aesthetic that eventually became known as “Mission Style”. Gustav founded “United Crafts” as a new venture in the state of New York. Around 1905, either Stickley or fellow manufacturers and retailers Joseph McHugh or Elbert Hubbard coined the phrase “simple furniture build along Mission lines” to describe a new product line. 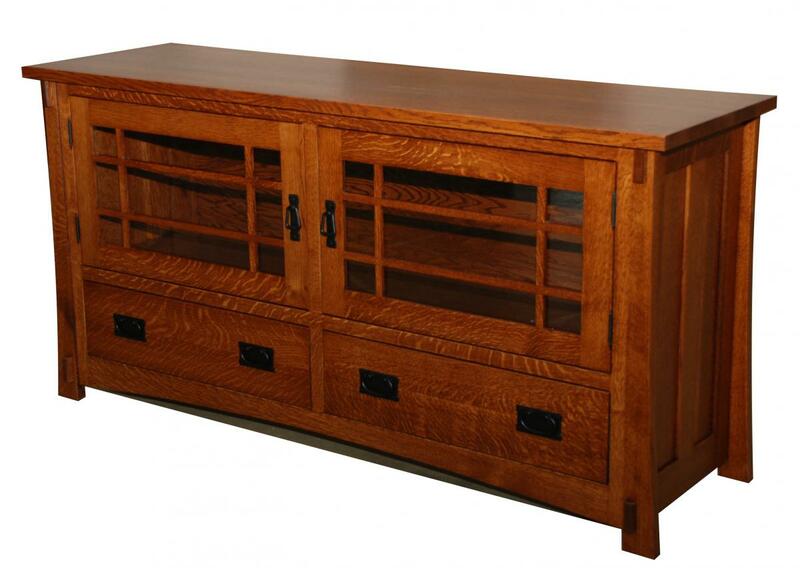 Stickley eventually branded his designs as “Craftsman Furniture”. 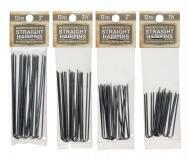 Its initial popularity led to ongoing commercial success of the Mission style. 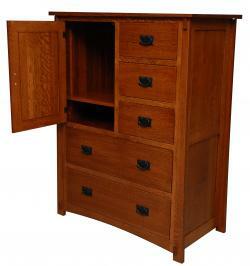 Several furniture manufacturing companies have continued to produce furniture in the Mission style. The key impression made by a piece of Mission furniture is a simple design, with straight edges and flat surfaces. Ideally the wood should be locally sourced, although that is less of a consideration than the style. Often the solid wood will have a dark stain. Usually the pieces are fairly light in weight considering that they are made of solid wood. One expects a high standard of workmanship in Mission style furniture, although some would distinguish “Arts and Crafts” as being somewhat more elaborate and of higher quality in the construction. It is possible to find laminate and pressboard pieces with a “Mission Style” tag, but this should be an exception in the lower price ranges. Joints are often exposed rather than concealed; often the stain is a bit darker in the joints, to add emphasis to the workmanship. As seen in the photograph, this Mission style chest of drawers has straight lines, rectangular drawers, and flat surfaces. The handles are rather plain, and the wood is fairly dark. This piece makes the statement that the owner values functional simplicity over ornate flamboyance. The photograph also shows a horizontal reinforcing element on the side of the chest. This exposure is part of the ethic of honest construction; one can see the “magic” of how the furniture is constructed. Why do the Amish Manufacture Mission Furniture? The Mission style of furniture is well suited for the Amish to emulate in their small workshops. They are well versed in woodwork; are accustomed to using natural materials rather than plastics; and certainly have the skill to make excellent furniture from simple designs. Typical Amish furniture manufacturers have far fewer than a dozen employees. They tend to use smaller power tools because they generate their own electricity using a diesel generator. Amish furniture manufacturers have adapted a variety of styles, but always build to their own high standards of quality and craftsmanship. Each workshop is a small business unto itself, and individual pieces are crafted “to order” rather than to fill space in a warehouse or a quota for shipment overseas. Solid wood construction is typical of Amish furniture manufacturing. The Mission style of furniture is ideally suited to the working conditions that the Amish have developed. The pieces do not require elaborate scrollwork, but each workshop will “compete” on the basis of the quality of craftsmanship in joinery and measurement. It is ironic that the Amish would manufacture furniture first developed by Catholic Missionaries. When the Amish and related denominations first emerged in Europe, the Roman Catholic Church attempted to suppress them. The religious persecution ended long ago, but the Amish are among those who keep alive a particular segment of Catholic history from California and Mexico by manufacturing Mission style furniture in Ohio. Mission style furniture remains popular; there is a wealth of information about it. Here are several references. “Mission Furniture” at http://www.britannica.com/EBchecked/topic/674465/Mission-style has a brief introduction. “Mission Style Furniture” at http://www.furniturestyles.net/american/rustic/Mission.html gives more history about the Spanish Missionaries. “Mission Style Furniture” at http://www.gustavstickley.com/Missionstylefurniture.html provides additional information.